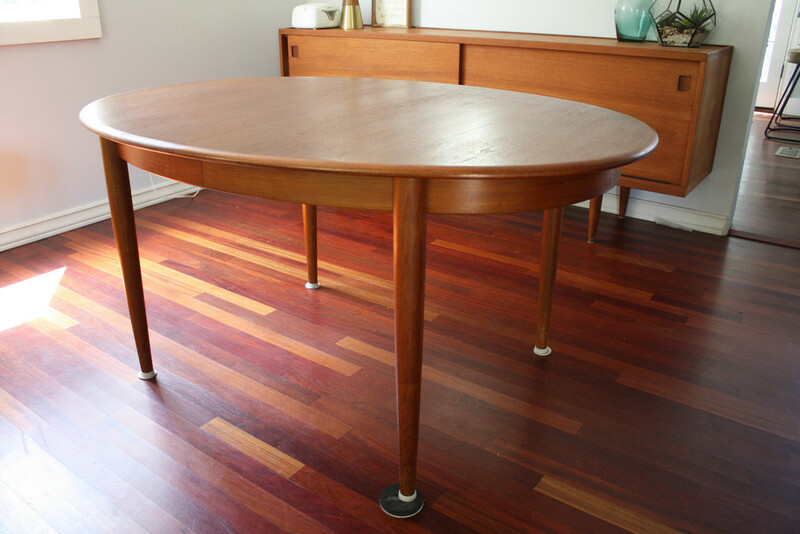 Available now is a stunning Mid Century Modern dining table by Gudme Mobelfabrik of Denmark. Don't mind the mediocre lighting conditions that make it the table have awkward glare spots from the adjacent window. This is not how it appears in person. 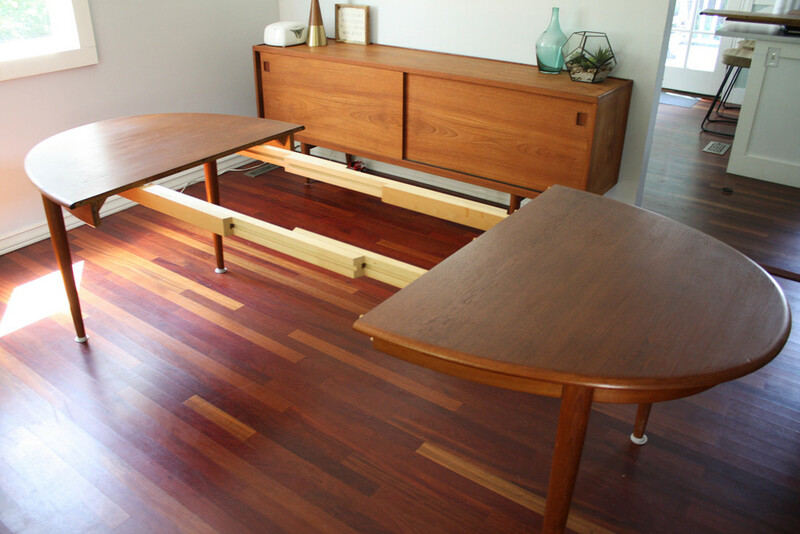 Want a big table without a big sacrifice of space? 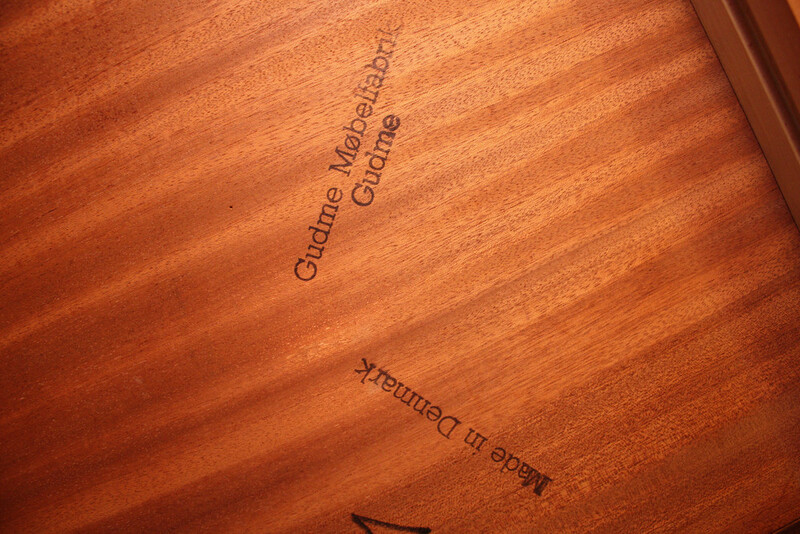 This is the table for you. With two removable leaves the table can be condensed to a four seater (58" long) or expanded to comfortably accommodate 10 people (97" long). 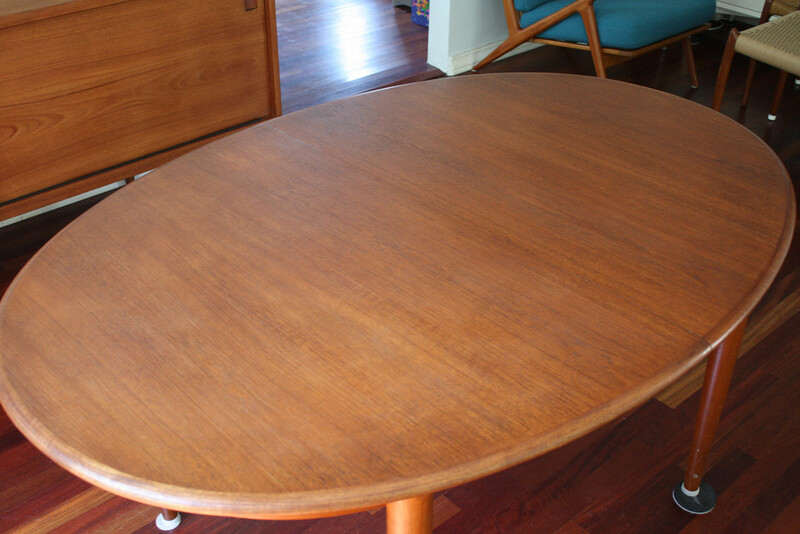 The teak wood grain is gorgeous and shows wonderfully with little wear. We tried to take pictures from all angles so you could see all of the table. 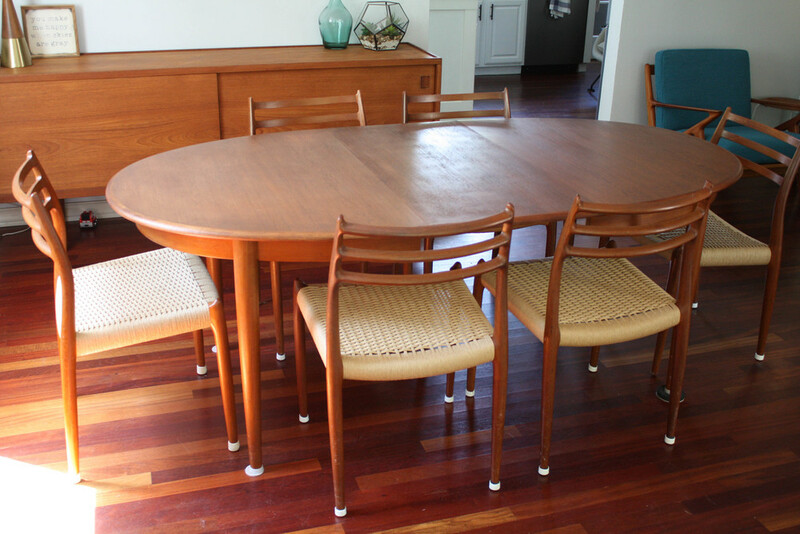 The long tapered legs blend seamlessly with the teak trim piece that runs the circumference of the table and give it that classic mid-century look. 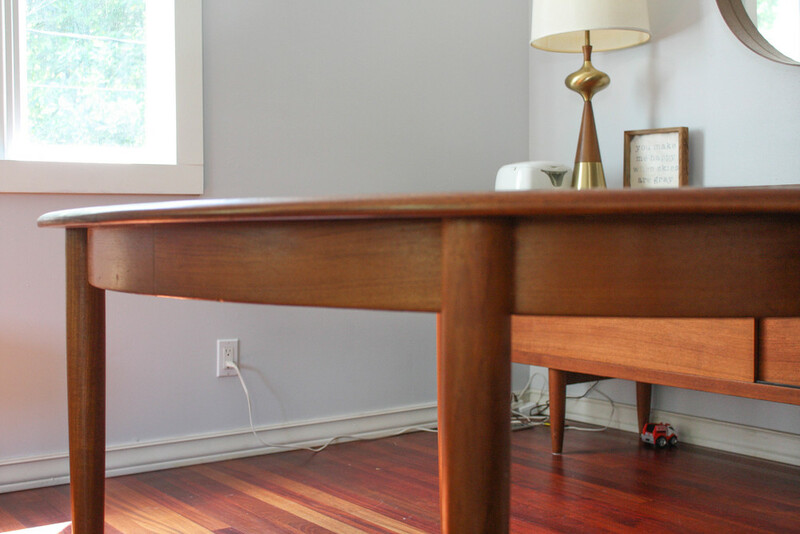 This table is very solid and sturdy.